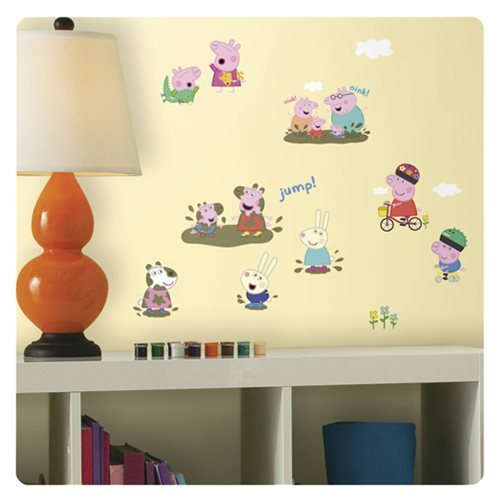 Bring the fun-filled adventures from Peppa Pig to the walls of your child's room with these Peppa Pig Wall Decals! A great way to create your child's favorite scenes from the hit series on their walls, apply these wall decals to any flat surface in minutes! Easy to remove and reposition! Decals range in size from 1-inch wide x 1 3/4-inches tall to 10 1/2-inches wide x 6 1/2-inches tall. Ages 4 and up.